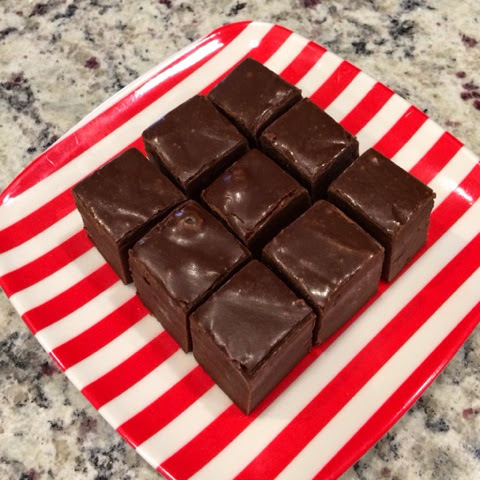 Fudge is one of my all-time favorite Christmas goodies. I only make it at Christmas time, but I make at least 3 batches each year. Of course, regular fudge is filled with all kinds of allergens, so my allergy kiddos have never had the opportunity to try it. 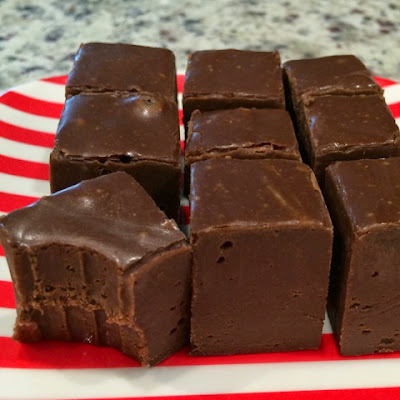 I have made an attempt or two over the years at making safe fudge for them, but each trial has been a complete failure. When I found a container of safe marshmallow creme at Whole Foods this fall, I snatched it up thinking ahead to another attempt at fudge. I also recently found a container of powdered rice milk. Another rare find! I have often seen the powdered soy milk, but this was the first time I had seen the rice milk variety. 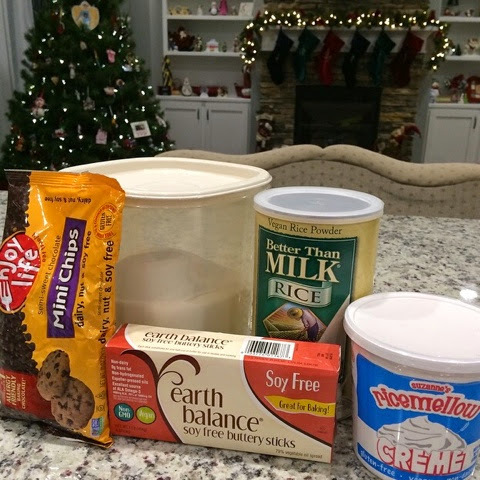 With these key items in my pantry, I was well armed for another attempt at safe fudge making. And the results were ah-maz-ing! It turned out perfectly! I used the recipe I have been using for years that I got from my stepmom. With a few substitutions, it was an easy modification. This time around I used vanilla for flavoring, but the add-ins are endless. Mint will be the next flavor I make. Maybe also a Sunbutter variety, or the brandy/cacao fudge I had growing up. How about some crushed peppermints on top? I'd love to hear your favorite flavor! 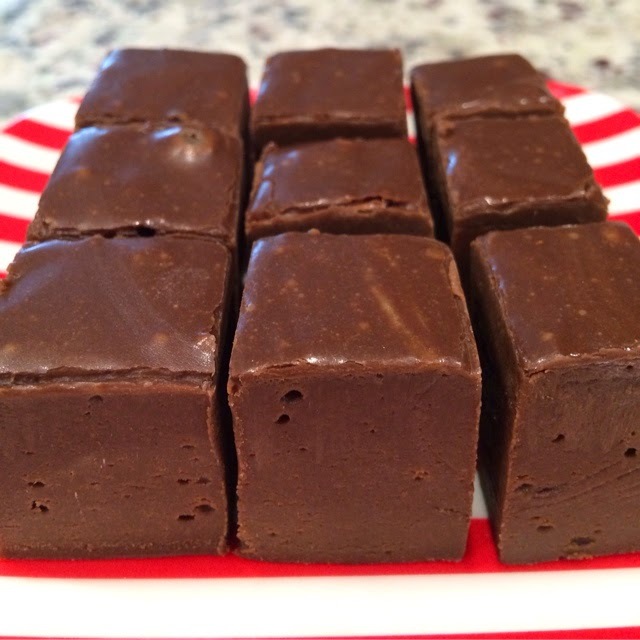 Fudge can be tricky to make, and I've tried and failed on many occasions. But now that I have all the tricks down pat, this safe fudge came together quite nicely. Line an 8" square dish with foil and spray with oil. In a large saucepan, combine butter, sugar, and evaporated milk. Bring to a boil over medium heat, stirring constantly. Continue to boil for 5 minutes, stirring constantly. Remove from heat, and stir in marshmallow creme until smooth. Mix in vanilla. Add chocolate chips, and stir well until melted. Pour into greased dish and allow to cool to room temperature. 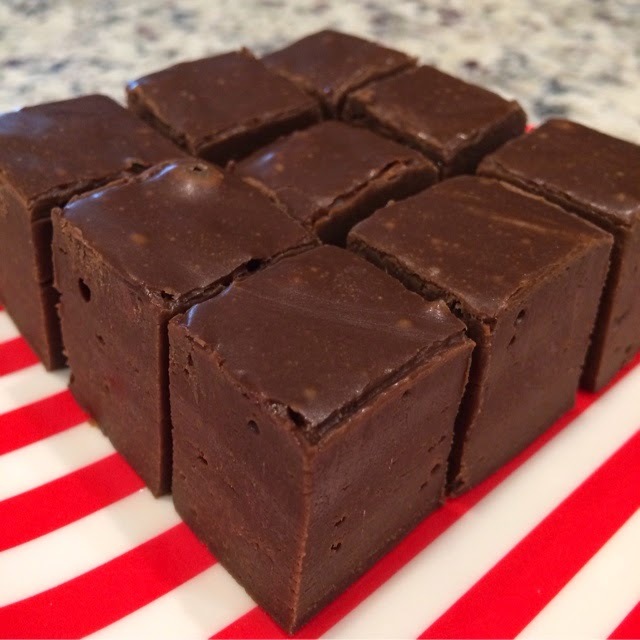 Score fudge into bite sized pieces. Refrigerate until firm. Remove foil and cut through scored lines with a large knife. For best results, store in refrigerator. *Evaporated milk is milk with 60% of the water removed. To make milk-free evaporated milk, I simply used powdered rice milk and added only 40% of the water that the instructions called for. With the brand I had, I used 3 Tbsp powdered rice milk and 5 oz water. Whisk until smooth. **I used Ricemellow creme which is free of eggs and artificial colors.